How and when should you use Facebook advertising? What should the ad look like? Where should it take people? The truth is, there is no one answer. It depends on whether you have the ability to capitalize on the results the advertising brings and it also requires high levels of integration to achieve superior results. 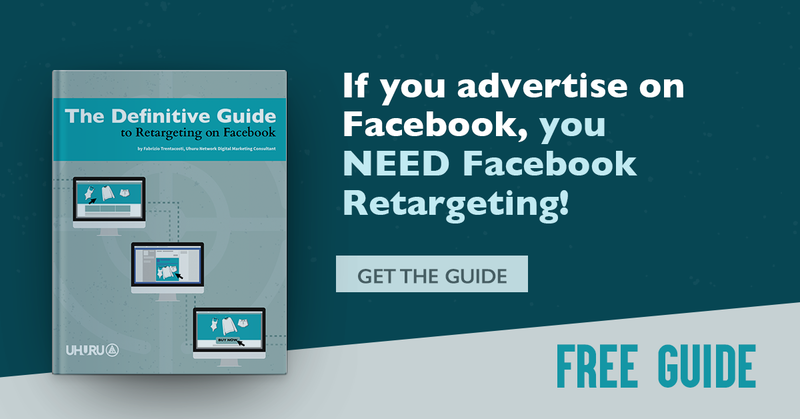 This isn’t a post about developing a complete Facebook advertising strategy, it is instead designed to show you how to think strategically and tactically about Facebook advertising using a client for this case study. An outdoor, live music venue with 1,500+ capacity, holding regular weekend concerts from March through October. There are paid and free admission concerts, totalling 60+ concerts scheduled throughout the season ranging from jazz and country to classic rock and comedy shows. To maximize the ROI, the only concerts destined for advertising on Facebook are the paid entry concerts. These concerts require the largest investment to put on and are also capable of providing a greater return than the typical free admission concert. These ads would run the week of the concert, for six days leading up to the event. Our goal for the ad campaign was to drive online ticket sales to drive two tangible benefits: 1) provide early cash flow and 2) give an estimate on the number of attendees. For this example, we will show the work and tactics that went into advertising a single paid entry performance. The Facebook Ad Manager recently added the ability to create up to 6 different ads for one campaign. Facebook uses a performance algorithm to serve the best ad to the targeted users making sure we, the advertiser, receive the most bang for our buck. Of course, you could do this before “by hand” but that usually meant time spent managing the ads as opposed to spending time optimizing the ads. Now we can essentially create 6 versions of the same ad with the best of the bunch displayed most often. To experiment with the visual appeal, we began with six different images and a single version of ad copy. After the first day, we dropped the two worst performing ads, and made some copy adjustments for the remaining ads (image below). You can see the four ads below. Of the four ads, they are divided into two groups with similar images and copy in each group. Reader Question 1: Which of the above ads would you click on: 1, 2, 3, or 4? (answer at the end). Tracking is the component that truly makes this advertising campaign successful. As mentioned before, Facebook will automatically serve the best ad based upon it’s performance algorithm but that doesn’t mean you should stop trying to improve it and put the best ad out there! We tested our campaign performance after the first day and eliminated two of the six ads we were running. We also optimized copy at the end of the first day and second day in order to generate the most interest and call-to-action. Website analytics told us we had to make a minor change to the information on the checkout page on the third day. For a campaign on a tight turnaround we couldn’t do more. With more time we could have reduced the ads to the top 2, tested more ad variations, images and copy. Nevertheless we were able to achieve the goal which was to find the highest performing ad and go with it. If you’ve set up an integrated environment for your advertising, you’ll have the data to know where people are coming from and if they’re doing what you want them to do once they get there. For this type of campaign we track with both a Facebook tracking pixel on the “Thank you” page of the checkout process and with funnel tracking in Google Analytics. Both of these independently verify we are reaching our stated goal of selling online tickets during the optimization process. We aren’t concerned about the total number of ad clicks or likes if they aren’t buying once they get there! Reader Question 2: Which of those ads above do you think had the best conversion rate: 1, 2, 3, or 4? (answer at the end). The ads were a tremendous success at driving online sales. An advertising budget of $60 generated almost $3,000 in pre-sales alone, more than exceeding our client’s expectations.